As a reminder to our patrons, we have limited store hours on Friday, Apr 19, 2019 from 7:00 am – 12:00 noon in observance of Good Friday. 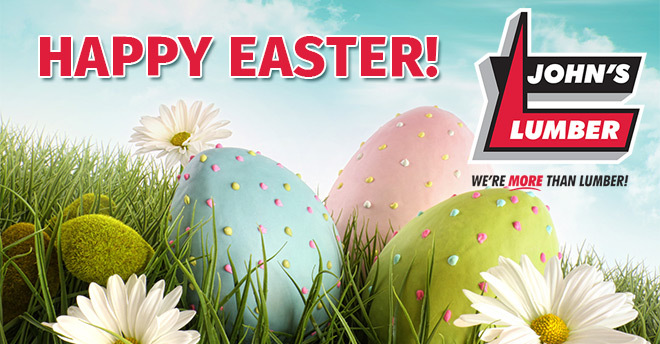 We hope that everyone has a wonderful holiday celebrating with family and friends. Will Building a Deck Improve My Home’s Resale Value? There are many things you can do with your home, but not all of them are financially beneficial. Making changes or adding features can cost a lot of money. Most homeowners weigh the price of the investment with how much they will get back if or when they decide to sell. Decks are a popular find, but will installing one do anything for your resale value? Just like anything else in life, prices vary drastically based on product and accessories. The composite decking itself starts as low as $2 a foot and can go all the way up to $5 a foot. John’s Lumber’s team is experienced to guide you on best choices based on your needs and budget. Do Home Buyers Want a Deck? The good news is that a new deck is a smart investment. Many buyers want a deck. It can add curb appeal and functionality to your property. According to a cost vs. value report published by Remodeling Magazine, homeowners recoup an average of 80% of the building cost of a new wood deck when they sell. Remodeled bathrooms only recouped about 78% followed by family room additions at 69%. 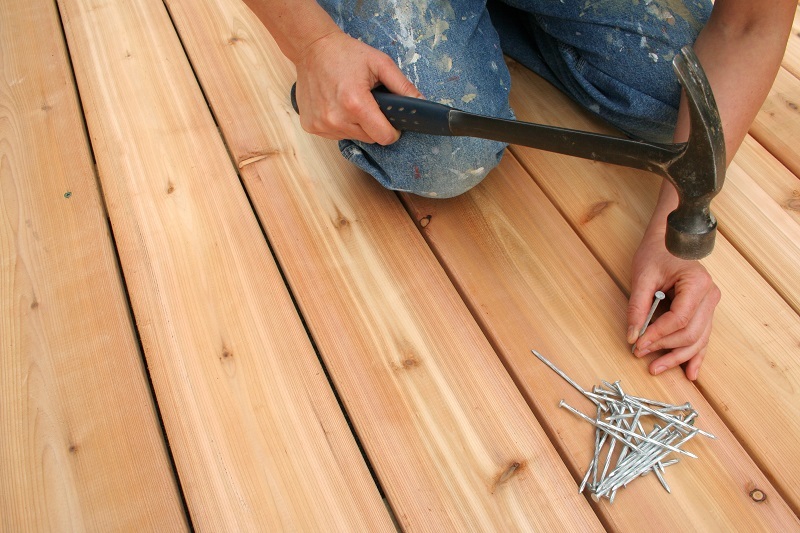 If you are ready to increase your home’s resale value, now is a great time to build a deck. Contact or stop by John’s Lumber in Clinton Twp. or Shelby Twp. to learn more or to get an estimate for your project. Springtime is here! This is often a time when people start thinking about how to best utilize your backyard this summer. It’s the perfect outdoor gathering space which can easily become your family’s favorite place to hang out together. 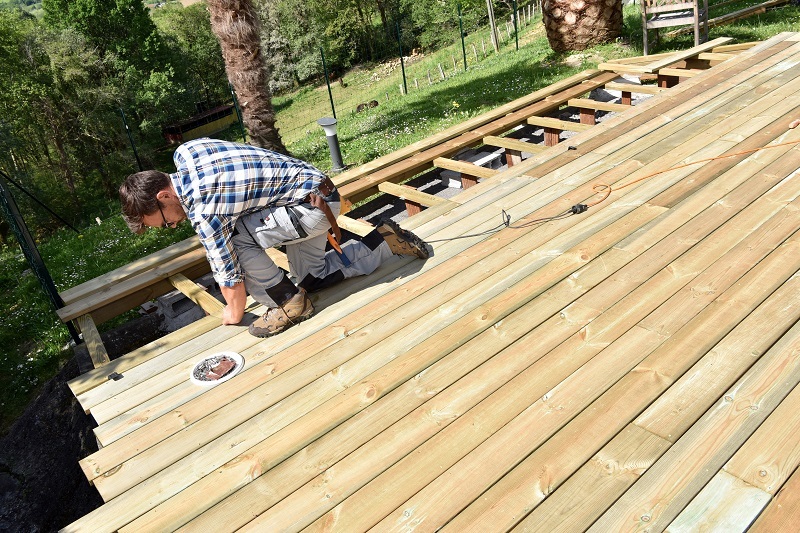 If you are interested in making the most of your property, consider building a deck which will last for decades. John’s Lumber carries premium decking products from Deckorators, TimberTech, TrexDecking and Rail, and Azek Decking and Pavers. With over twenty colors of composite decking to choose from, you will certainly find what you are looking for with us. Modern decking components are safer and more durable than ever before. The features that should stand out to homeowners interested in building or renovating their deck are the superior finishes and color matched rail systems. The pressure treated lumber used in creating your deck will stand up to the greatest Michigan weather threats and may be easily cleaned. Safety is our number one priority. Personalizing an outdoor deck has never been easier, in fact our process allows you to pick exactly how the deck is arranged. The experts at John’s Lumber can also help design the most efficient layout for your home and yard. Accessories like stair and accent lights may also be used to brighten the deck for safe movement at night. Unlike other outdoor home improvement projects, our decks are incredibly durable and come with long-term warranties against defects and damage. A deck can be enjoyed by more than yourself and guests, it can also be a major asset if you ever decide to sell your home. Savvy homeowners recognize that a well-built deck adds tremendous value to their home. Stop by John’s Lumber Clinton Township or Shelby Township location to learn more. 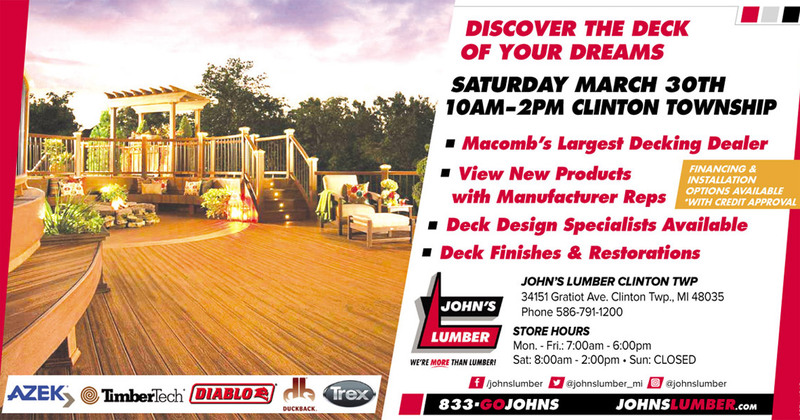 We are Macomb’s largest decking dealer! Enjoy a New or Restored Deck This Summer! Selecting new or replacement windows for your home is an important investment and can be overwhelming. Advancements in window design have made them more insulative than ever before. John’s Lumber has the window options that will meet your requirements at a sound price. Let’s explore the different window styles and options available today. There are many styles of windows which may have been installed in the original construction of your home. These can include awning, bay, casement, gliding, picture, single and double hung, and specialty windows. Standard double-hung windows are designed to function identically to your pre-existing windows. If you have a particular design in mind you can have windows custom built, simply contact our team to get started. Specialty windows are necessary for uncommon openings which are typically placed for architectural significance. Choosing the right material is an important part of the window buying process. Depending on your home’s architecture and location, certain materials are likely to be a better fit than others. Our manufacturers currently produce wood, vinyl, composite, aluminum, and fiberglass windows. For extreme applications, composite and fiberglass windows are excellent at keeping the elements out while resisting wear and tear. Whether you live on the water or within a suburban development, exposure to the Michigan elements should be the first consideration in this process. We carry four excellent window manufacturers at John’s Lumber to choose from; Andersen, Jeld-Wen, PlyGem, and Bowman-Kemp. Our team can find the exact window for your home’s specifications with ease. Please give one of our John’s Lumber team members a call or stop into either of our locations in Clinton Township or Shelby Township. 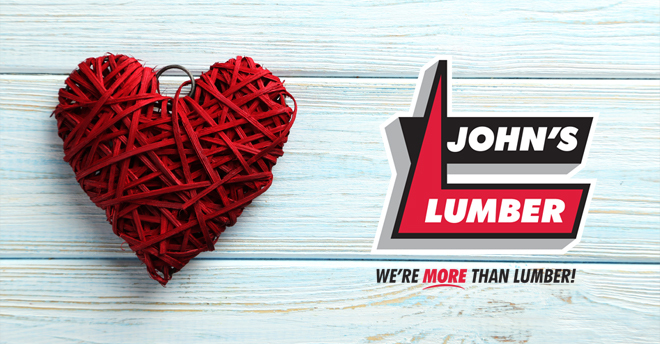 Let John’s Lumber help you LOVE your home. Stop by and see how we can help you transform your space. Old windows are the top reason for unnecessary loss of cooled and heated air. 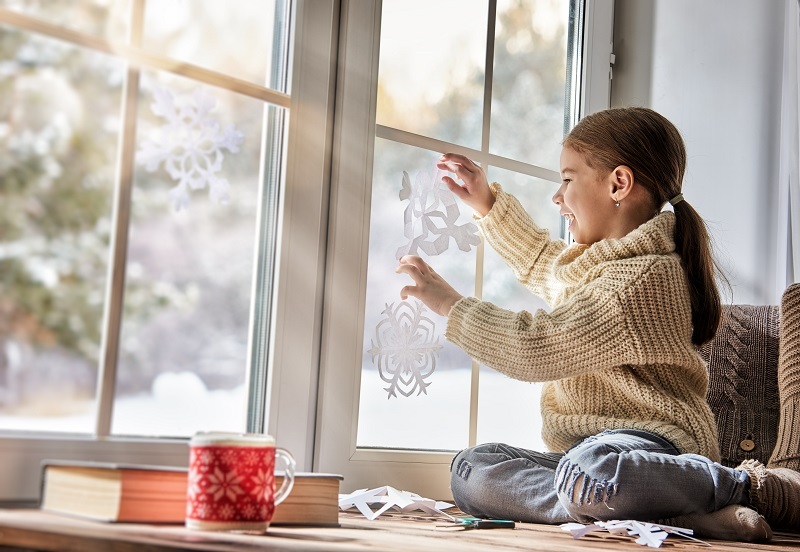 Unfortunately, most homeowners wait to replace windows until they have deteriorated and have lost their ability to maintain a stable indoor temperature. 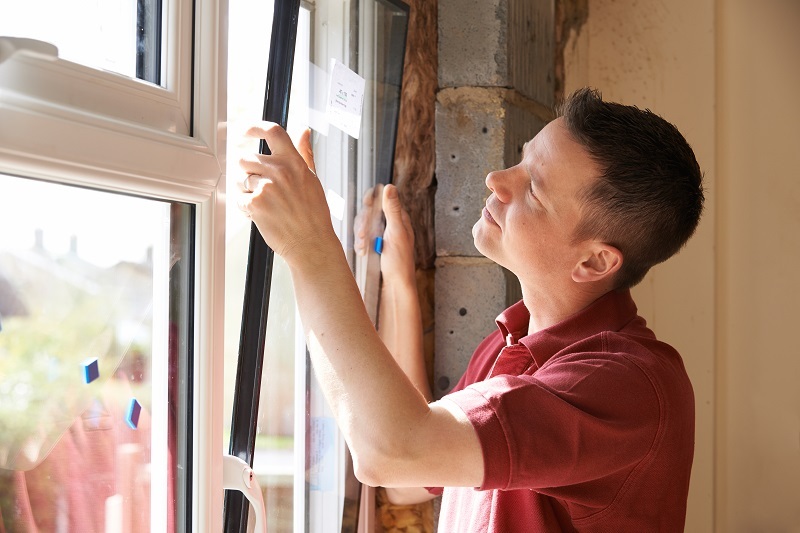 Your home’s energy efficiency and protection from the elements relies on its windows! New windows also offer maximum clarity and visibility to the outdoors. Modern windows feature energy saving construction and materials to keep heated air in. An efficient home permits natural light to flow in during the day and reduces the amount of heated or cooled air which must be produced to maintain a comfortable environment. Our living spaces are often defined by any level of draftiness, which new windows can prevent. Old windows are notoriously poor insulators, but what’s also important is how well they keep the elements out! Homes in our area face a wide variety of threats which vary from freezing precipitation to harsh winds and more. These two concerns are especially important to address with winter in full force. Homes are incredibly unique in our area, so John’s Lumber has partnered with top manufacturers to offer the greatest selection possible. Modern window models are constructed using wood, composite, aluminum, vinyl, and fiberglass. Our trained window specialists can walk you through the process to ensure your satisfaction. To learn more please visit our windows webpage or stop by our Clinton Township or Shelby Township locations. The arrival of a new year often makes us take a closer look at the direction our lives are going. It’s a time to think about improvement. And for your home, it’s a great opportunity to consider a renovation project. If you want to invigorate your household, consider introducing a new kitchen this year. Many families grow and change over the years. Your home should change with you. For example, have the kids moved out? Maybe it’s time to get rid of the large table and finally get that island you always wanted. Do you find that your cabinetry can’t contain your growing collection of kitchen appliances, utensils, and dishware? A renovation provides you the opportunity to replace them with new drawers, shelves, and more that can hold everything you need and keep your kitchen tidy and organized. Style is another area that evolves over time. Colors and patterns that were in 10 years ago are now outdated. If your kitchen has sat untouched then chances are, it may still be sporting some of those dated designs. Other rooms in your home may have also changed over the years. This could leave your kitchen looking a little out of place. Pull it all together by giving your kitchen a modern makeover. If you want to increase your home’s appeal, a new kitchen is a great way to do it. 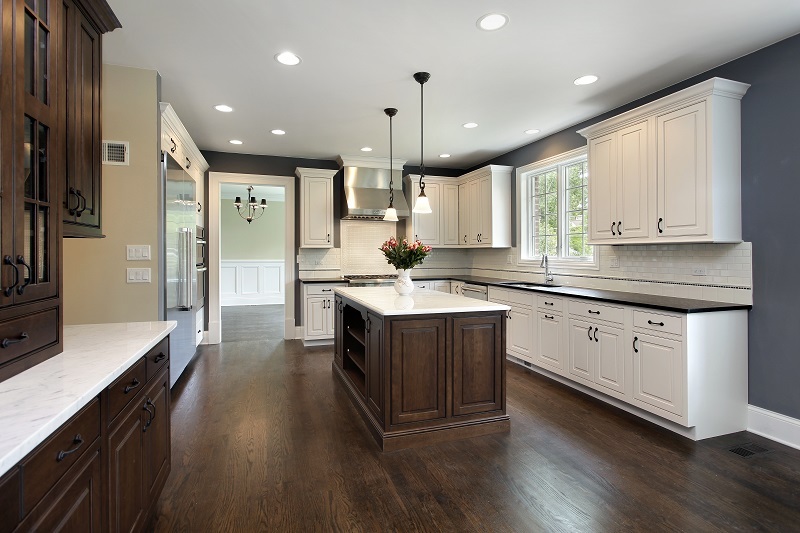 The National Association of Realtors ranked a kitchen remodel as the best interior project that will increase property value. It’s also important to remember that an average-looking kitchen inside an upscale home can cause the value to drop in the eyes of buyers. If you’re ready to start an update, give John’s Lumber a call or stop by either of our locations in Clinton Twp. or Shelby Twp. Our gifted interior designers look forward to helping you make your kitchen look amazing! 2019 is going to be an exciting year for interior design. Many trends have appeared that are completely transforming the look and atmosphere in the most used rooms in your home. Which trend will you incorporate this year? Until recently, sinks were usually a smooth basin in the kitchen and bathroom. Today, things are really heating up under the fixtures. Ornate sinks in hammered finishes, metallic tones, and more are making appearances. Some feature intricate designs that are sure to grab attention. With the growing popularity of smart appliances, Google Home, and Alexa, voice control is now available in the kitchen and bathroom. This technology allows homeowners to interact with everything from refrigerators and stoves to vanity mirrors and light switches. There’s no denying the white kitchen’s place as a timeless classic. However, 2019 trends are moving away from that. Color is in – including rich, alluring tones in the kitchen. Even the appliances are showing up in unique hues. Chrome is being replaced with bold red, blue, yellow, and black. 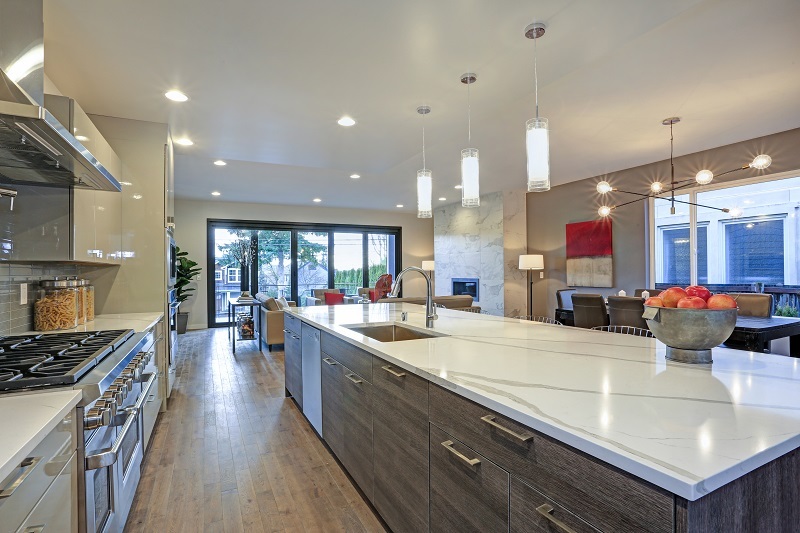 Another trend that’s spreading in popularity is engineered quartz for countertops. Granite was always number one, but engineered quartz is on the rise. We’re going to see some beautiful changes in kitchen and bath design this year. It’s a great time to find inspiration for your home. Choose your favorite trends then stop by John’s Lumber in Clinton Twp. or Shelby Twp. to discuss how you can add them to your home. Our interior designers are here to help Southeast Michigan homeowners like you update and renovate their living spaces. The New Year presents an opportunity to grow, build, and improve. At John’s Lumber, we are proud to offer quality materials and great customer service thanks to our hardworking staff. We want to thank our loyal customers whose patronage keeps us in business all year long. You have allowed us to serve you for decades, and we hope to continue that tradition into 2019. 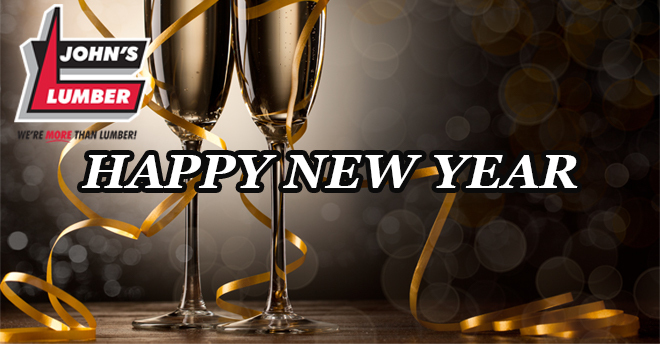 We wish all of you a happy New Year full of possibilities and fond memories. Whether you want to expand your business or renovate your home, our goal is to provide the products you need to make your dreams a reality this year!